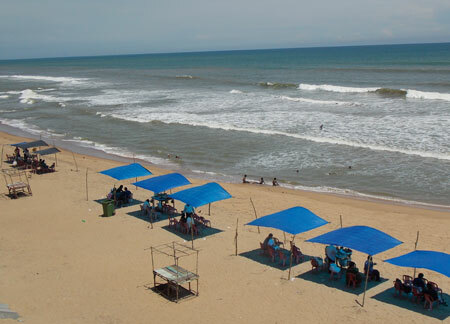 Odisha beaches are world famous because of the delightful surroundings, hot and fine sand, amusing atmosphere etc. Along with that the local markets and beach site food stalls, home decor, handloom and handicraft stalls are very much seduce tourist, most important reason is the calm and peaceful environs that support to site and experience the beauty of nature at the time of sunrise and sunset. Now days Beach Tours in Odisha is very popular and tourist from different foreign countries visit Odisha time to time for enjoying Beach Tours Packages in Odisha. After arrival at Bhubaneswar Airport / Railway station, pick-up, drive to Puri, check-in hotel, freshen up, visit world famous Jagannath Temple by our Temple priest, in evening enjoy at golden sea beach and beach market, overnight at Puri hotel. Take your breakfast, proceed to Satapada (Chilika Lake – the Largest Salt Water lake of Asia) enjoy boat cruise and see rare Irrawaddy Dolphins & sea mouth (A scenic island inside Chilika lake). Then back to Puri, free time shopping at beach market, overnight at Puri hotel. Take your breakfast, check-out from hotel and proceed to Konark, on the way visit Balighai beach latter visit Konark Sun Temple (A world heritage site and also known as the black pagoda).The Temple is an example of Orissan architecture of Ganga dynasty, Evening enjoys “Sun Set” at Chandrabhaga beach. Check in hotel at Konark. Overnight at Konark hotel. Early morning enjoys “Sun Rise” at Chandrabhaga beach. Take your breakfast, check-out from hotel, proceed to Paradip, and enjoy Paradip port & beach. Overnight at Paradip hotel. Take your breakfast, check out from hotel, proceed to Balasore visit Chandipur beach. Back to Bhubaneswar. Overnight at Bhubaneswar hotel. Take your breakfast, check out from hotel visit local market then transfer to Bhubaneswar Airport / Railway station for your onward journey with sweet memories of Jagannath Dham (Odisha).